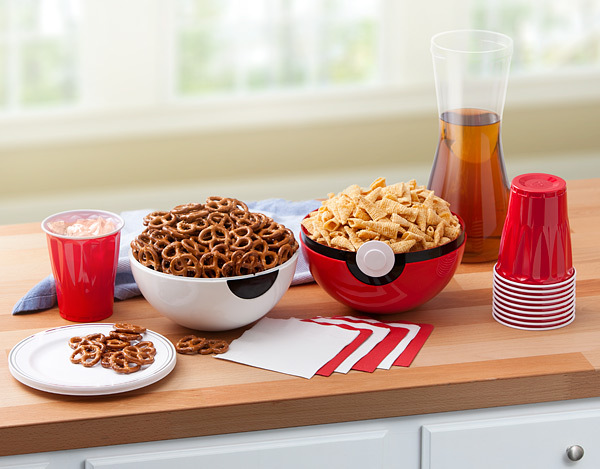 The Pokeball Serving Bowls come with two dishwasher safe halves of the classic ball used in the Poké-verse. The red top and white bottom can slot together and will equal the approximate size of a volleyball. 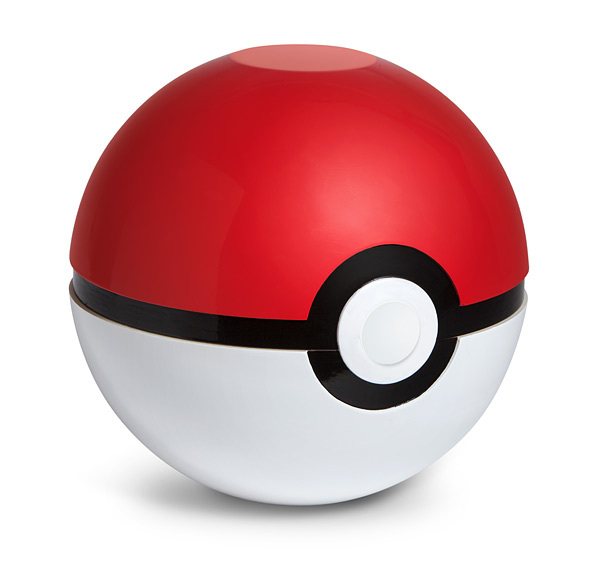 Pokeballs were meant for holding things. Mostly Pokémon, but things nonetheless. So we took that concept, and we thought that they would work pretty well at holding our favorite snacks. 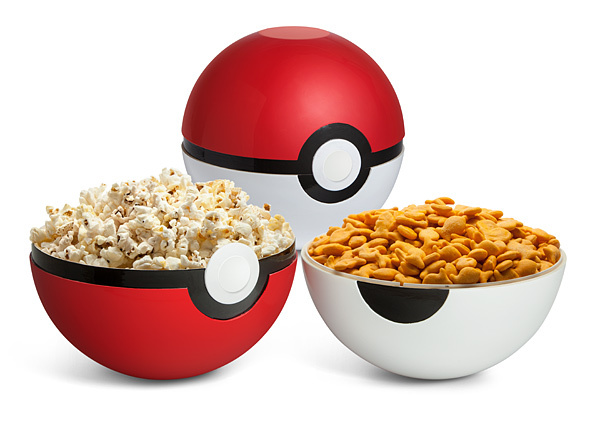 This Pokeball is a tad bigger than the handheld ones that a Pokémon Trainer such as yourselves may be used to, but that’s only because we know you’re hungry. We can relate.